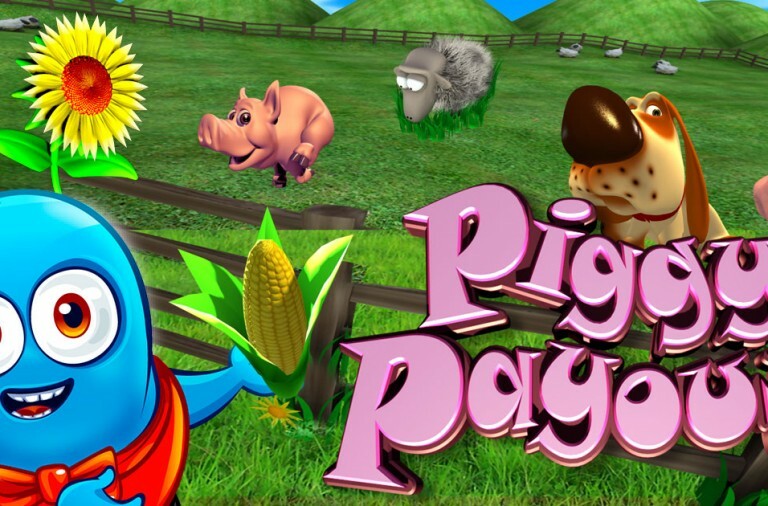 If you love the natural world, its animals, plants and landscapes, and you enjoy gambling, then why not combine the two. At Winner Casino you will find numerous slots that bring nature alive on the screen and all of them offer you the chance to win big. Take a look at some of them below and then go set the reels spinning. Tiger Claw is one of the newest slots to arrive at Winner Casino and it will take you on an adventure in the mysterious orient where great treasures await. Along the way you will enjoy rewarding bonus features and with a bit of luck, some seriously big payouts. 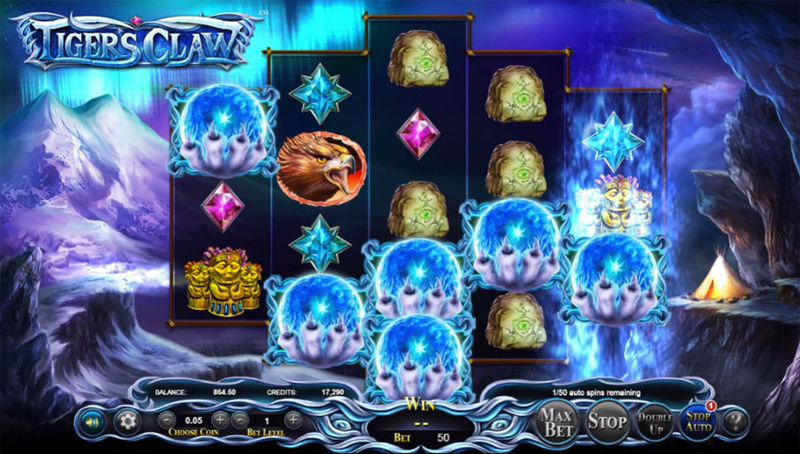 Tiger Claw is a 6 reel slot with 4 rows and a massive 4096 ways to win. Thanks to this, all you need to do is land matching symbols from left to right along the reels in order to win a payout, and there is no need to worry about paylines. Better still, the high value symbols will payout when just two land on the reels, so it is very easy to land wins. The reels are set in an ancient looking scroll while behind them is a view of the landscape at dusk complete with mountains, trees, and mist blowing in from the bottom of the reels. There are five high value symbols, the tiger, a fox, a goat, a warthog and a snake. The tiger symbol is the most valuable and it can land stack on all the reels to help you land more wins. The lower value symbols are the playing cards 9, 10, J, Q, K and A. The wild symbol is a Chinese character and it can land on reels two, three, four, five and six, and will substitute for all the other symbols, except for the scatter symbols, to help and form winning combinations. The scatter symbols simply says ‘Tiger Free Games’ on it. When three, four, five or six of the Tiger Free Games scatter symbols land anywhere on the reels you are awarded with 8, 15, 25 or 100 free spins respectively. In the free spins game the wild symbol will randomly awards a 2x, 3x or 5x multiplier when it helps to form a win. 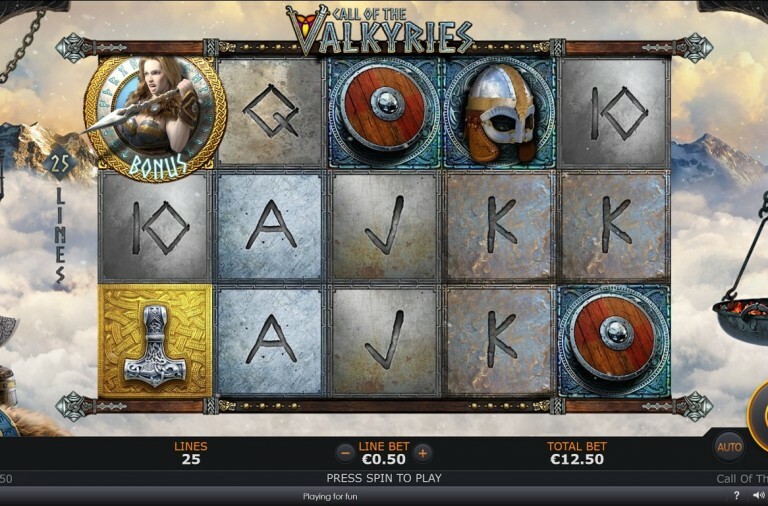 Furthermore, by landing more scatter symbols you can win more free spins. Landing two more scatter symbols will award you with 5 more free spins while landing three, four, five or six will award you with 8, 15, 25 or 100 more spins respectively. This way you can continue winning free spins indefinitely. While Tiger Claw has a massive 4096 ways to win, you can bet as little as £0.40 per spin and high rollers can place bets of up to £30 per spin. As mentioned, the tiger is the most valuable symbol and will payout up to 300x, the fox and the goat can both payout up to 250x, while the warthog and the snake can payout up to 200x. A and K can payout up to 150x, Q and J can payout up to 120x, and 10 and 9 can payout up to 100x. Remember, all of these payouts can be significantly larger with the help of the wild symbol in the free spins. Why not take yourself on an oriental adventure today and see if the wildlife will bring you huge winnings. If you love soaring landscapes, beautiful skies, animals and of course, the chance of huge winnings, then Roaring Wilds may be the perfect game for you. 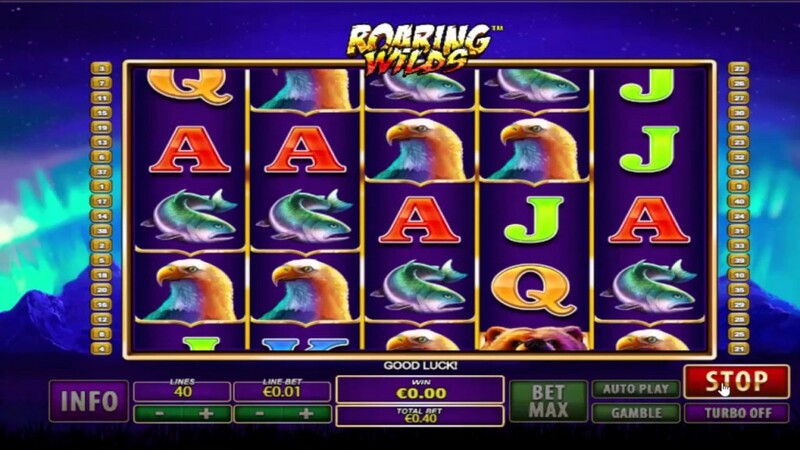 Roaring Wilds is a 5 reel slot with 4 rows and up to 40 paylines. The reels are set against an impressive view of mountaintops and a star filled sky, complete with a hint of the aurora. There are three themed high value symbols, jaguars, eagles and fish. The lower value symbols are the playing cards J, Q, K and A. All of the symbols can land stacked on the reels to help you land more wins. The roaring bear is the wild symbol, he will substitute for all of the other symbols, except for the scatter, to help and form winning combinations. The scatter symbol is a paw print. When you land at least three scatter symbols anywhere on the reels the free spins begin. You are initially awarded 15 free spins, but you can win more indefinitely by landing more scatter symbols on the reels. If you enjoy taking risks then you will love the slot’s gamble feature. It can be used after any winning spin to try to double your payout. The gamble feature is a simple guessing game, you will be shown the dealer’s card and then you need to pick from four facedown cards to try to find one that has a higher value. If you pick correctly you can repeat the process and keep going until you hit the slot’s double up limit. However, one incorrect pick results in all winnings being lost. If you don’t want to risk all of your winnings then you can choose to just gamble half. 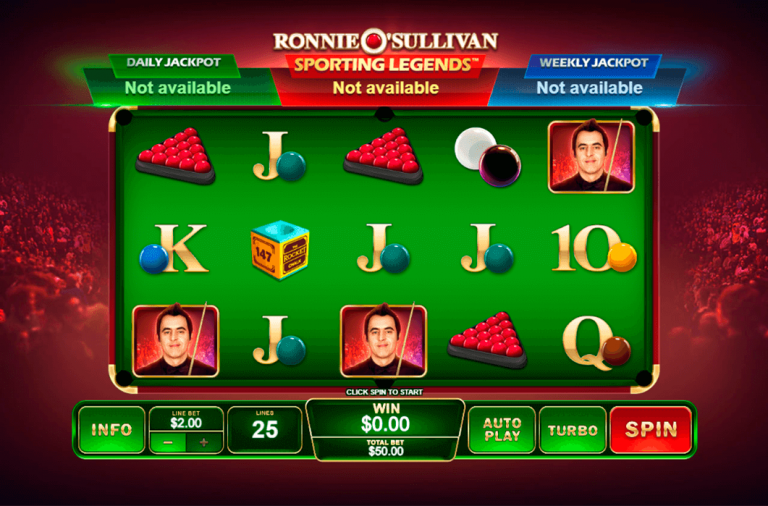 The game also offers a gamble feature that can be used after any winning spin. You play a 50/50 game that gives you the chance to double your winnings. The process can be repeated numerous times up to the gamble limit of £5,000 but if you make a mistake then you will lose all the winnings. Roaring Wilds has a huge betting range of £0.01 up to £1000 per spin, so all players, regardless of budget, can enjoy it. There is a huge top payout of 1,000x up for grabs if you can land five of the bear wild symbols along a payline. The jaguar symbol can payout up to 200x while the eagle and fish both offer payouts of up to 100x. All four of the playing card symbols offer payouts of up to 100x. You can also win huge amounts from the scatter symbol, which will pay out 50 times your total bet for the spin when five of them land anywhere on the reels. If you want to see nature at its best while trying to win huge sums of money, then give Roaring Wilds slot a spin today. If you dream of going on safari in Africa to see some of the world’s most amazing animals in their natural habitat, and you want to give yourself a chance of winning enough money to fulfil the dream, then Safari Heat slots is the game for you. 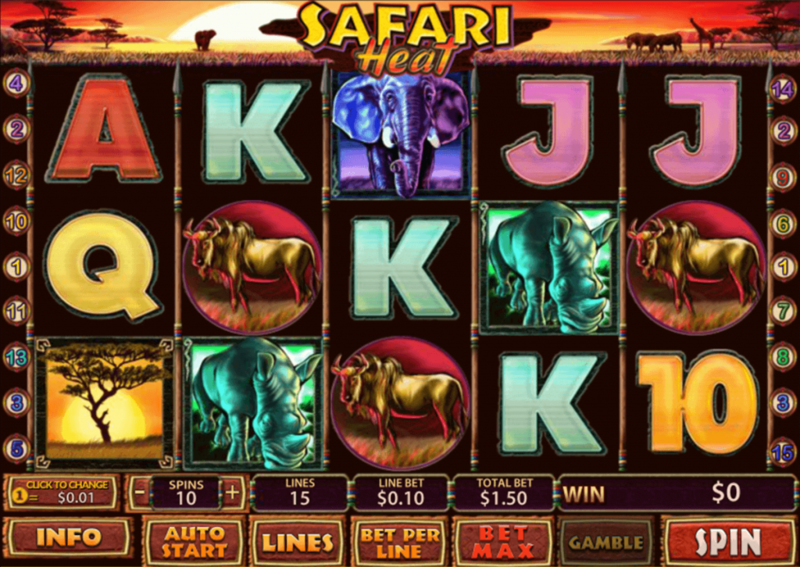 Safari Heat is a 5 reel slot with 3 rows and up to 15 paylines. The reels have a tribal design with spears separating them, while above them is a view of the savannah complete with various animals in front of a giant setting sun. There are five high value symbols, the elephant, the rhino, flamingo, the zebra, and the wildebeest. The lower value symbols are the playing cards 10, J, Q, K and A. The lion is the wild symbol, he will substitute for all the other symbols, except the scatter symbol, to help and form winning combinations. Better still, whenever the lion contributes to a winning combination the payout is doubled! The scatter symbol is the tree in front of the setting sun. If you can land at least three scatter symbols anywhere on the reels then you will be rewarded with 15 free spins. Best of all, during the free spins all of your winnings will be doubled so there is the chance of landing some huge sums. Furthermore, you can win more free spins indefinitely by landing three or more scatters on the reels. Safari Heat is another slot to offer a gamble feature for risk takers. In the game you are shown a facedown card and need to guess if its red or black. Guess correctly and your payout will be doubled. You can then repeat the process and keep doubling up until you reach the double up limit found in the paytable. However, if you make one incorrect pick then all of your winnings will be lost. Safari Heat has a betting range of £0.01 up to £300 per spin so both high and low rollers can enjoy it. There is a massive top payout of 10,000x up for grabs for landing five wilds on a payline while four wilds will payout 2500x. The elephant and rhino can both payout up to 750x, the flamingo can payout up to 500x, and the zebra and wildebeest can both payout up to 250x. Remember, all of these payouts can be doubled by the wild symbol and tripled during the free spins! Furthermore, scatter payouts of up to 500 times your total bet can be won by landing five scatter symbols anywhere on the reels. Head out on a virtual safari today and with a bit of luck you will soon be jetting off for the real thing.